Recently I read Charles Mingus's larger than life semi-autobiographical novel, "Beneath the Underdog". Mingus's music has always had a special place in my heart. His compositions evoke pictures, moods, and stories inside of my head. 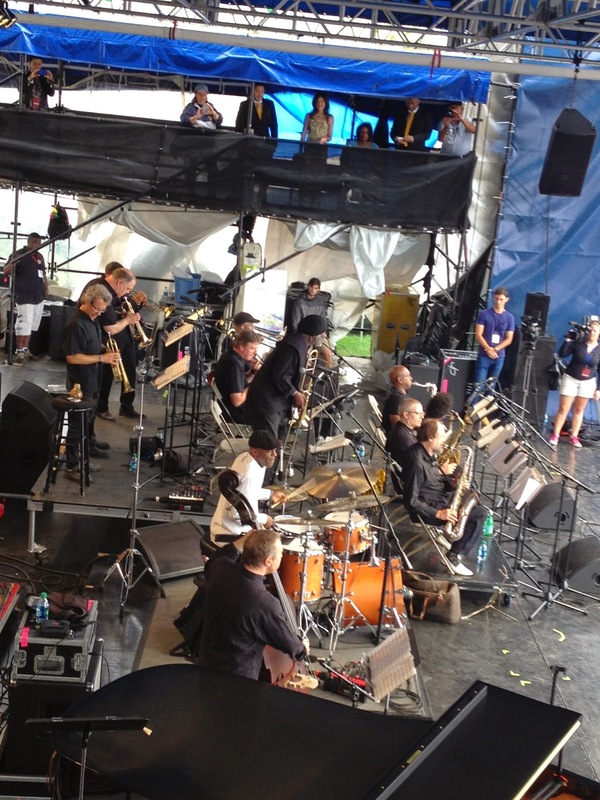 I have seen the Mingus Big Band twice at the Newport Jazz Festival, and the amount of fire and passion put into Mingus's music sends me so much joy. In fact, my greatest wish would be to play with them! My 'jazz book club' series of posts include: Miles Davis, Chet Baker, Herbie Hancock, and Sidney Bechet. Instead of doing a traditional book review, I wanted to share some of Mingus's words and music. One Mingus quote I came upon exclaimed, "Making the complicated simple, awesomely simple, that's creativity". I think this quote describes Mingus's music so well. Underneath the catchy, buoyant melodies, you'll hear layers upon layers of golden complexities. Not many songs make me feel like time is suspended, but this version of Mingus's moody ballad always feels like a dream. Eric Dolphy has always been one of my favorite jazz musicians, and his bass clarinet playing on this track is superb. This song was written to remember Lester Young, the great tenor saxophonist. This song is solemn and respectful, yet still brings forth energy and love for Young. This song is especially amazing to hear the Mingus Big Band play live, as the energy of a live band is beyond anything. What I love about Mingus's titles is that they allude to the entire character of the song. "Nostalgia in Times Square" just as a title gives a feeling that as a listener helps us attach to the music. You even start to place your self in Times Square while listening to this song! This up-tempo song is incredibly fun and energizing! What's great about a Mingus album such as "Ah Um" is that there is such variety between each track, that you feel transported through different emotions, places, stories. This fun song relates the joy and ecstasy of meeting the, "girl of my dreams". Mingus's music is full of hills and valleys, overlapping horn sections with varying rhythm section hits. I feel like the amount of articulation and emphasis to different notes is what really makes even a simple phrase come alive in this music. Though over the top at times, "Beneath the Underdog" was a powerful book. It is definitely an adult book in language and subject matter, so be warned! Please visit my jazz poetry blog, "Without a Poem", where I improvise a new poem everyday! I also have a song and drawing of the day, so stay tuned! What is your favorite Mingus song?